Today Mattr announced enhancements that will make the logistics of influencer marketing partnerships more efficient, scalable, and timely through the implementation of blockchain-based Ethereum technology. A blockchain-based technology, Ethereum features smart contract functionality that facilitates online contractual agreements. By integrating Ethereum into its platform, Mattr is streamlining the payments process between brand and influencer, previously one of the most challenging aspects of influencer marketing. Enabling a multi-party payments process to be performed via a smart contract makes the process faster, more transparent, and less expensive for both brands and influencers. Mattr’s innovation in influencer marketing helps blockchain technology further advance beyond financial deployments. Though many associate blockchain solely with the bitcoin cryptocurrency, the distributed computing technology is capable of serving nearly infinite purposes. Mattr is currently assessing other possible uses for Ethereum-based blockchain in marketing as well. Last month, Mattr joined the Enterprise Ethereum Alliance (EEA), the world’s largest open-source blockchain initiative, becoming one of the first companies to bring Ethereum-based technology into the world of marketing. Other EEA members include Intel, J.P. Morgan, MasterCard, and Microsoft. EEA is an industry-supported non-profit composed of forward-looking enterprises and blockchain innovators that build, promote, and broadly support Ethereum-based technology best practices, open standards, and open source reference architectures. “It is a real benefit to have Mattr as part of the global EEA membership. Their innovation in bringing Ethereum into the marketing world dovetails nicely with EEA's mission of expanding and advancing the use of Ethereum worldwide and across markets," said Jeremy Millar, founding board member, EEA. “Mattr is not only a member of EEA but also involved with EEA's Advertising Industry Working Group. This group's mission is to research, develop and contribute mainnet Ethereum-based solutions to combat problems facing the advertising industry, including advertising fraud and supply chain integrity." 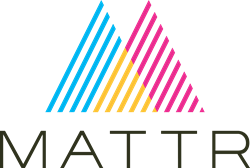 Mattr is leading the way for revolutionary insight into influencer audiences. Mattr searches beyond celebrities to discover brand-aligned mid and micro influencers with like-minded audiences. Our dedicated account and community management team brings ease and end-to-end assistance to the entire influencer campaign process. Learn more at http://www.mattr.co.